The robots are made by major Olympic sponsor Toyota Motor Corp. Toyota officials said 16 of the so-called “human support robots” will be used at the National Stadium with five other “delivery support robots” also being available. Not to be outdone, Panasonic Corp.— also a major Olympic sponsor — showed off its “power assist suit.” When worn, the suit offers support to the back and hip area and allows for heavy objects to be lifted with less effort. Panasonic said 20 of the suits will be used at the Olympics and could help guests with their luggage and with other lifting chores. 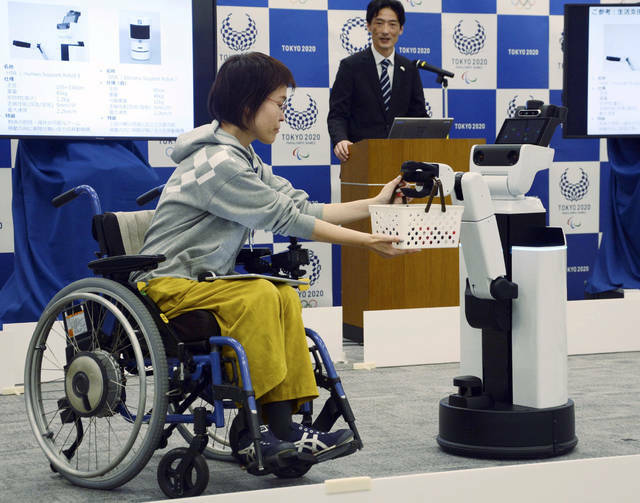 “Through this occasion, people in the world will be able to realize how advanced Japan is in terms of robot technology,” Hideyo Hirata, director of technology services for the Tokyo Olympics, told reporters. 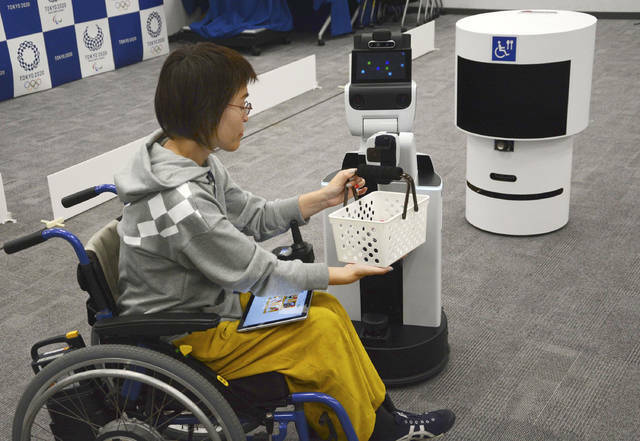 Yoshifumi Uchida, general manager of Panasonic’s Paralympic department, said its power assist suit technology was developed partly because of Japan’s aging population. This could help get more women and the elderly into the working population. He said the suit improved “efficiency” by about 20 percent, allowing the wearer to lift more, and for a longer time. Disclosure statement: Mylynda Massart has received an educational research grant from 23andMe to develop education in genomics for primary care residents. Mylynda Massart is a co-investigator for the All of Us Pennsylvania research study. Will food laws change as more GM foods are created? Disclosure statement: Ana Santos Rutschman does not work for, consult, own shares in or receive funding from any company or organization that would benefit from this article, and has disclosed no relevant affiliations beyond their academic appointment. Disclosure statement: Eleanor Feingold does not work for, consult, own shares in or receive funding from any company or organization that would benefit from this article, and has disclosed no relevant affiliations beyond their academic appointment.